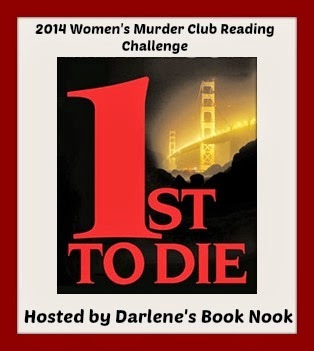 hosted by Darlene's Book Nook! 1. This challenge will run from January 1, 2014 to December 31, 2014. 2. You can join the challenge at any time, whether you haven't yet started the series or are already halfway through. All books read during the challenge period count for the challenge, regardless of when you sign up. a. Level 1 "Amateur Sleuth": Read 1-3 books in the series. b. Level 2 "Detective in Training": Read 4-6 books in the series. c. Level 3 "Private Eye": Read 7-9 books in the series. d. Level 4 "Seasoned Professional": Read 10-13 books in the series. 7. When you write your sign-up post, you must choose your level. You can go up, but you cannot go down! 8. There will be a linky for your reviews, which will be posted on THIS page at the beginning of the year. Sign-up below if you wish to join me in the challenge!